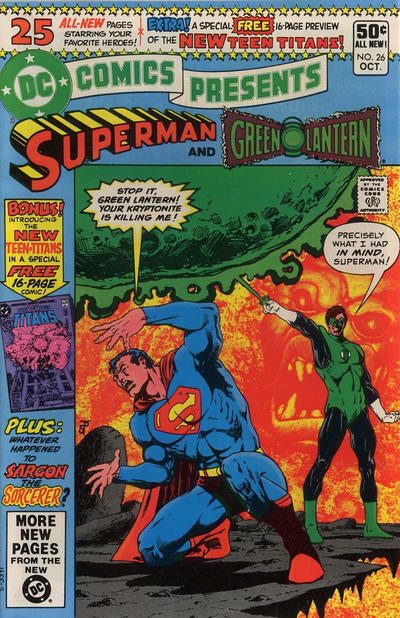 It’s THE MARV WOLFMAN INTERVIEWS, a series of discussions with one of the Bronze Age’s greatest writers. For more installments, click here. Dan Greenfield: Now, taking it further back, if you can give us a brief rundown of how you actually got started in comics… Tell us about the earlier part of your career. And the editors really worked with people so you learned something instead of, again, just being thrown into the deep end of the pool without an idea. 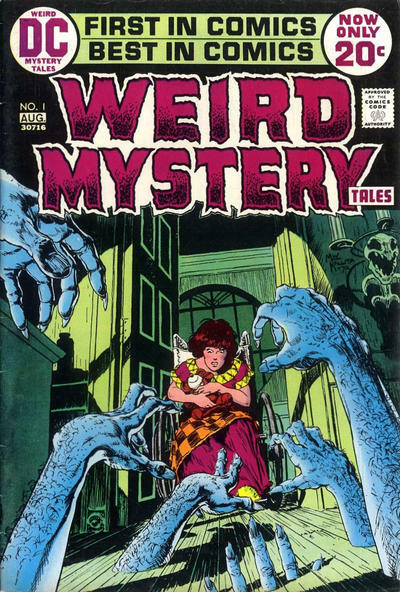 I became an assistant editor for Joe Kubert and Joe Orlando and my first actual editing was … a written-off-material book, which means I was asked to put together a collection under the title, Weird Mystery Tales, of, primarily, some of the Jack Kirby stories that he had done for a magazine that they had never published. So they wanted to at least make their money back on what they paid, so they asked me to put them together and go through all the material and put together a couple of issues of the book. I asked for the right to buy one page of artwork. Just one, because we weren’t originally supposed to do it. And the excuse was I wanted a host, the same way House of Mystery had Cain, House of Secrets had Abel, The Witching Hour had the three witches, etc., etc. And I wanted to create a character to be the host for that. And I came up with an idea for it and I called in an artist, Bernie Wrightson — who passed away far too early and far too recently — to draw it… and that was Destiny, who no one ever used after that, but they gave us the right to buy one page. So I had a full shot of Destiny, and then a bunch of head shots that I put on all the lead-ins to all the individual stories and then wrote some dialogue for that. Years later, when I came back to DC after a long time, I put Destiny into Superman and a couple of other books and then got a call one day from Neil Gaiman. He said, “Do you mind if I use him in mine?” and I said, “Please feel free.” And that became Destiny in Sandman. It all goes back to that character that Bernie and I put together. So I got a job, because I was an assistant on all those books, at Warren Publishing, and I was the editor of Creepy, Eerie and Vampirella. After eight months, I went just about crazy and finally accepted an offer that Roy Thomas had made me to come over to Marvel and essentially edit all the books that would be in competition with Creepy, Eerie and Vampirella… and by that point I was happy to do that. Dan: And when did you go from Marvel back to DC? Marv: Uh… January of 1980. Dan: Was it The New Teen Titans that brought you over? What was the transition? Marv: Well, I left Marvel. It was actually about a month or two before and I was talking to DC. I had asked DC only one thing. I did not want to do team-up books. By team-up books, I mean… I had been at Marvel doing the Thing team-up book. The Thing meets, you know, Sub-Mariner this issue and next issue he meets Mister Fantastic and next issue he meets Iron Man or whatever else and I hated those books! They are so fake in the plotting as far as I’m concerned. There are people who love doing it. It was not my cup of tea. But I did it for two years by creating continued stories and trying to give a reason why characters would pop up rather than every issue be a stand-alone story that didn’t mean anything. I hated those and I asked DC not to put me on any of those, so immediately they assigned me to Brave and Bold and World’s Finest (laughter). So I had to get out of that real fast and get into something that I would like. I had done Teen Titans in the late ‘60s. 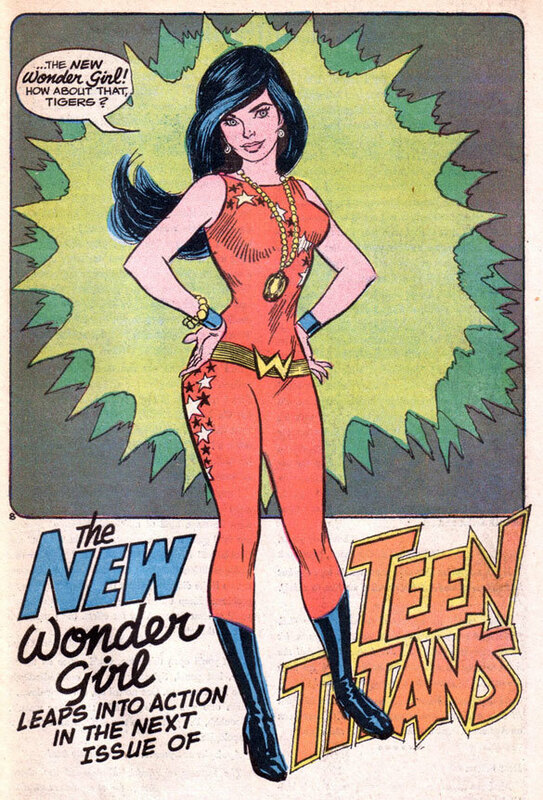 I did the origin of Wonder Girl because there had been no origin of Wonder Girl and this was back, again, in ’69 or so. I created Donna Troy and the whole storyline. 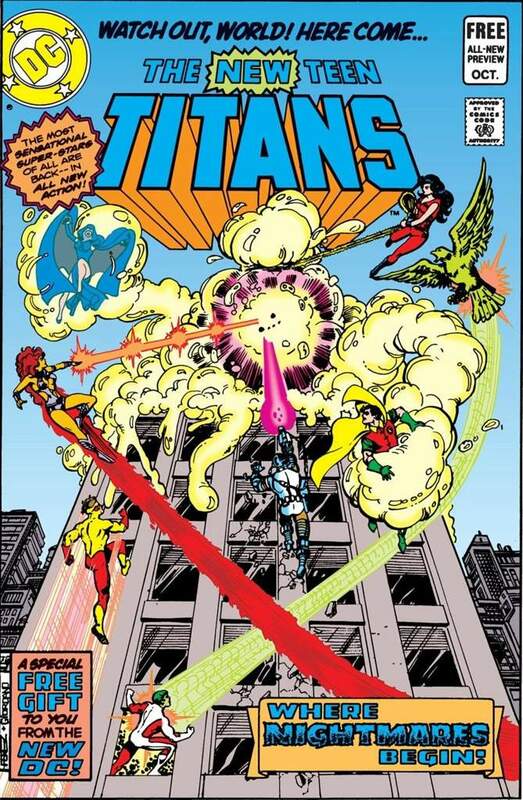 And I co-wrote Issue #18 of the original run of Teen Titans, which introduced a Russian hero named Starfire, and I secretly plotted a couple of other books as well. Teen Titans #22. From The Origin of Wonder Girl, by Wolfman. 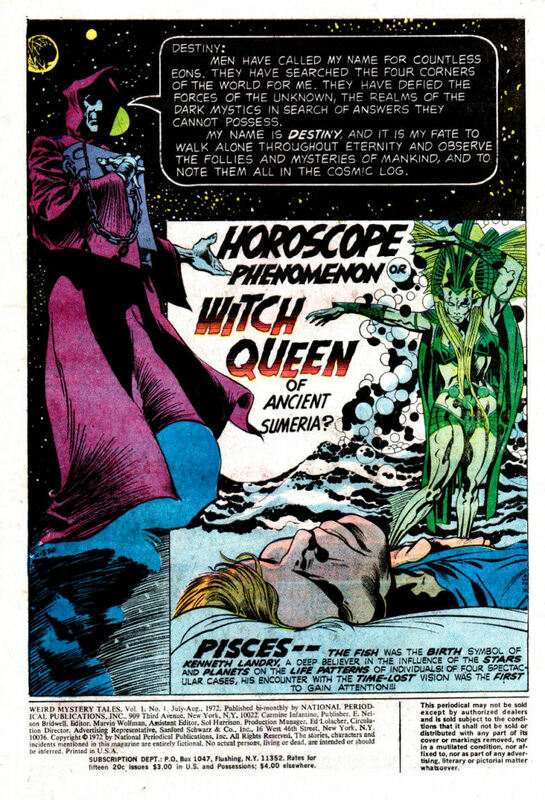 Pencils by Gil Kane, inks by Nick Cardy. So I suggested that I revive the Teen Titans. I worked up characters, I spent some time working up characters, and they were sort of reluctant about it. They had just canceled Teen Titans previously, like a year before, and nobody liked the book. Our excuse was we’d just do it better. And they went, “Oh, OK,” ’cause they knew what I did certainly as a Marvel writer. I was on Spider-Man, Tomb of Dracula, Fantastic Four, Daredevil, a whole bunch of others, so they were aware of what I could do. “Cover” of the DCCP #26 preview. George Perez pencils, Giordano inks. They finally OK’d that, so I could get rid of one of those (team-up books) and then I finally got onto Superman — which I REALLY wanted — and got rid of the other one, so I only did one issue each of the two team-up books. (Dan laughs) And that was one too many. NEXT: Creating the characters and picking favorites. Click here. — Behind the Mask: The Creation of NIGHTWING. Click here. :/ Well now that’s a bummer that he doesn’t dig on how groovy team-up books are. I like stand-alone, done-in-one books. Titans, and later The Batman Adventures and Starman were the rare exceptions, where I invested in a book and followed the path it was on. 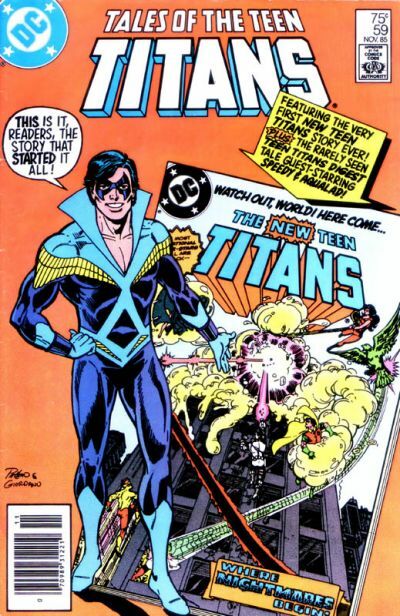 The Brave and the Bold was always a solid book as was DC Comics Presents – ironically, where The New teen Titans preview debuted. Still, Mr. Wolfman is a very entertaining writer. I enjoyed Marv’s BRAVE & BOLD story #167. Love the retro art by Dave Cockrum during the Gotham, Bruce Wayne-Batman scenes. I truly enjoyed reading this interview.